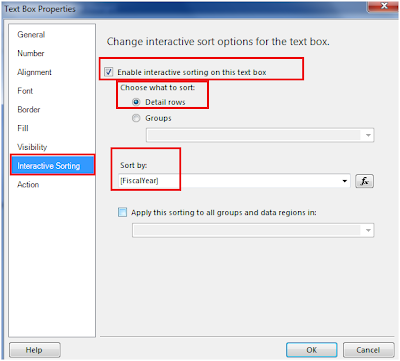 The aim of the article is to describe a way of implementing Interactive sort in a report using SQL Server Reporting Services. 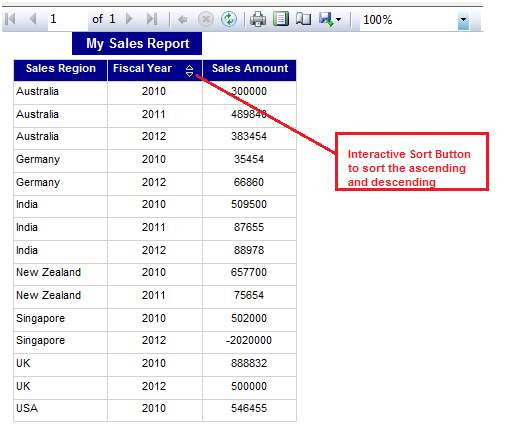 Interactive sort provides ability to allow the user to sort the data in the report based on their requirement. 2. 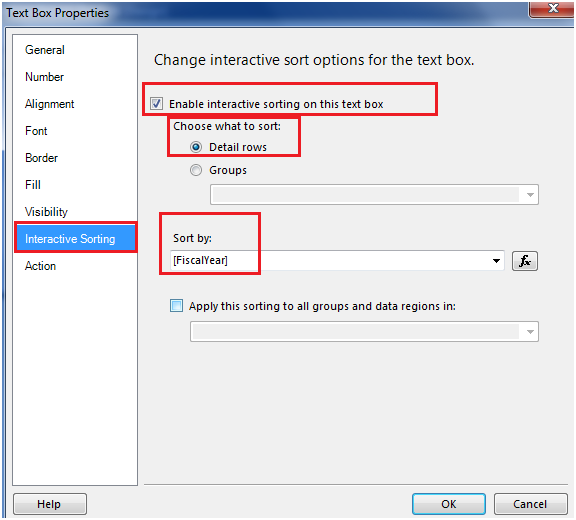 What is Interactive Sort? 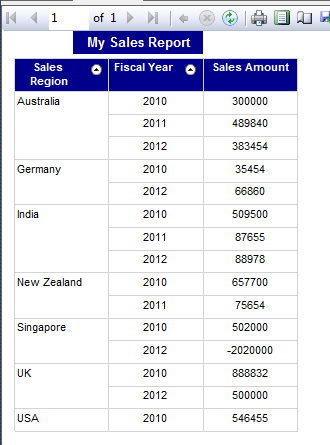 Interactive sort is a feature in SSRS by which we can sort the data in ascending and descending order for rows in a table. 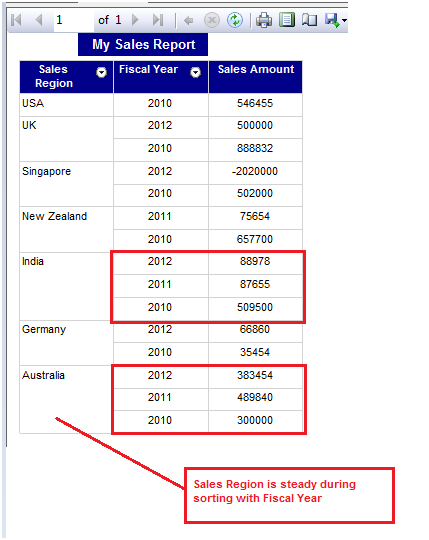 For Matrix, We can sort the data for rows as well as columns. 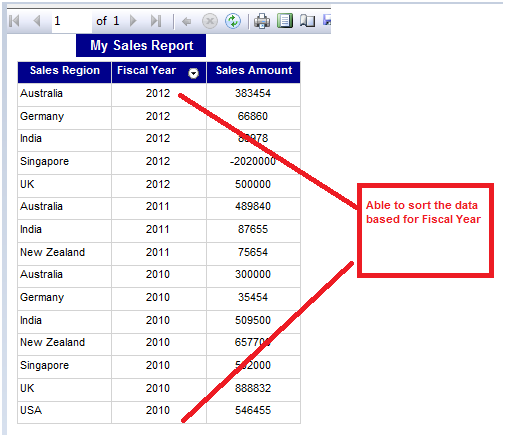 Once we implement interactive sorting in the report, a sort button adds in the column header. 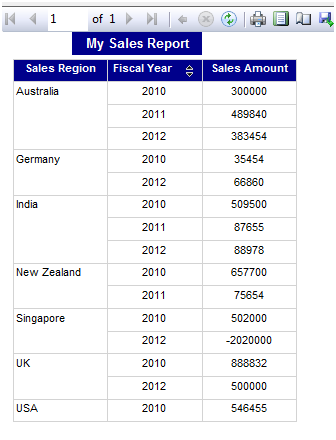 By clicking the Interactive sort button, we can sort our data in ascending and descending order. We can add an interactive sort button to any text box, not just column headers. 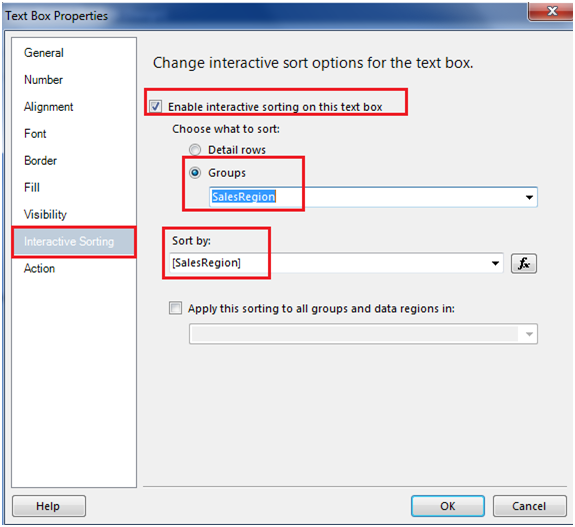 We can implement sort for a specific group also in the report. 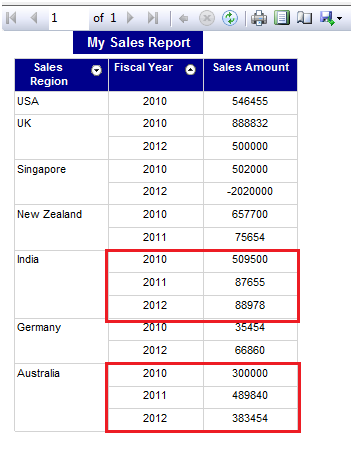 We can also combine fields into a single group expression, and then sort by multiple fields. 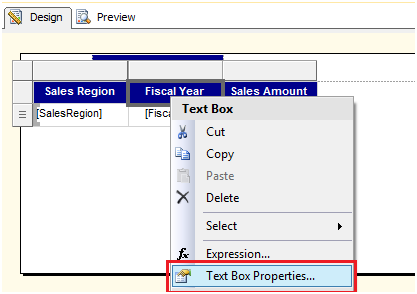 Right click on the Fiscal Year column header text box and select Text Box Properties. 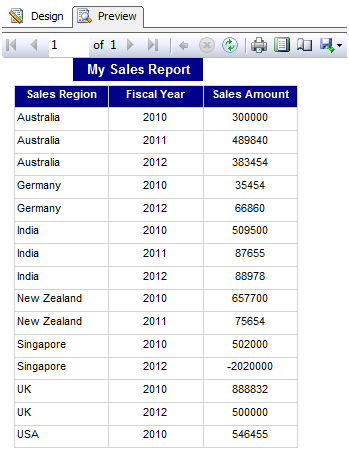 Select Group as SalesRegion and Sort by SalesRegion. 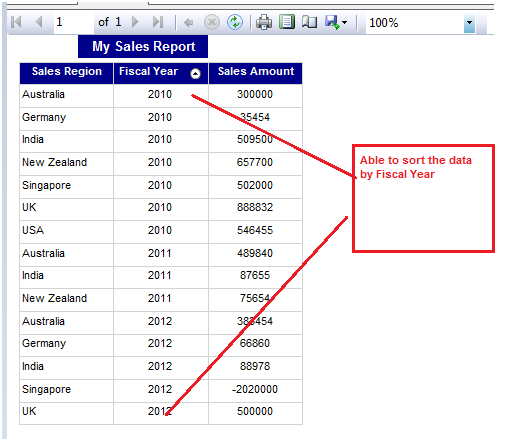 By using the above steps, We can add Interactive sort in the Report. 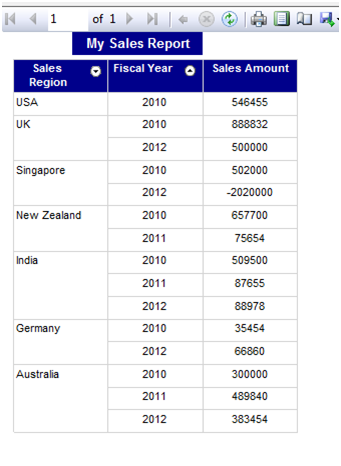 Is it sorted when you export to a PDF or Excel?